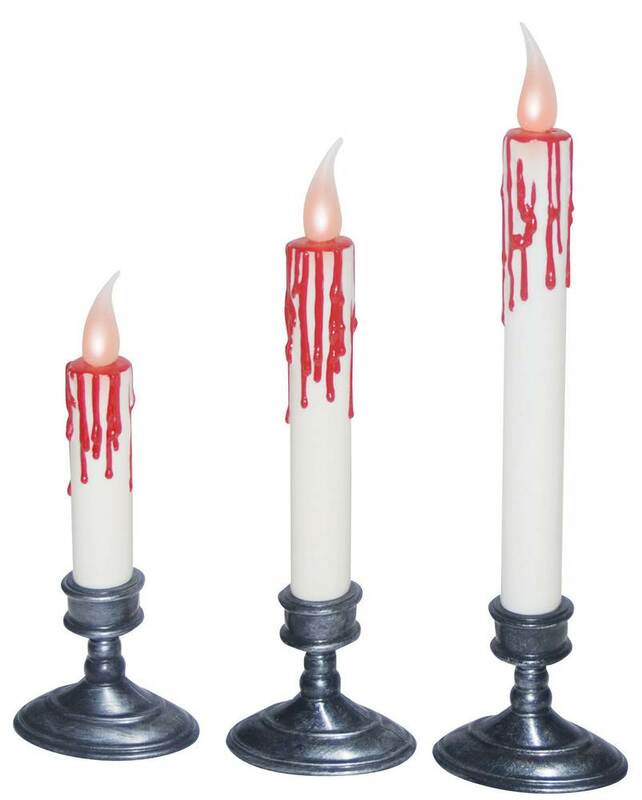 The Set of 3 White Blood Dripping Candles features a stark contrast between the pearl white candles and the crimson red blood. The set requires 3 AG13 Watch batteries (included). Each candle measures 7.5'' tall x 1'' thick.